For other people with similar names, see Eric Erickson (disambiguation). Harwich, Cape Cod, Massachusetts, U.S.
Erik Homburger Erikson (born Erik Salomonsen; 15 June 1902 – 12 May 1994) was a German-born American developmental psychologist and psychoanalyst known for his theory on psychosocial development of human beings. He may be most famous for coining the phrase identity crisis. His son, Kai T. Erikson, is a noted American sociologist. Although Erikson lacked even a bachelor's degree, he served as a professor at prominent institutions such as Harvard and Yale. A Review of General Psychology survey, published in 2002, ranked Erikson as the 12th most cited psychologist of the 20th century. Erikson's mother, Karla Abrahamsen, came from a prominent Jewish family in Copenhagen, Denmark. She was married to Jewish stockbroker Valdemar Isidor Salomonsen, but had been estranged from him for several months at the time Erik was conceived. Little is known about Erik's biological father except that he was a Danish gentile. On discovering her pregnancy, Karla fled to Frankfurt, Germany, where Erik was born on June 15, 1902 and was given the surname Salomonsen. Following Erik's birth, Karla trained to be a nurse and moved to Karlsruhe. In 1905 she married Erik's Jewish pediatrician, Theodor Homberger. In 1908, Erik Salomonsen's name was changed to Erik Homberger, and in 1911 Erik was officially adopted by his stepfather. During his childhood and early adulthood he was known as Erik Homberger, and his parents kept the details of his birth a secret. He was a tall, blond, blue-eyed boy who was raised in the Jewish religion. At temple school, the kids teased him for being a Nordic; at grammar school, they teased him for being Jewish. At Das Humanistische Gymnasium his main interests were art, history and languages, but he lacked interest in school and graduated without academic distinction. After graduation, instead of attending medical school, as his stepfather had desired, he attended art school in Munich, but soon dropped out. Uncertain about his vocation and his fit in society, Erikson began a lengthy period of roaming about Germany and Italy as a wandering artist with his childhood friend Peter Blos and others. During this period he continued to contend with questions about his father and competing ideas of ethnic, religious, and national identity. When Erikson was twenty-five, his friend Peter Blos invited him to Vienna to tutor art at the small Burlingham-Rosenfeld School for children whose affluent parents were undergoing psychoanalysis by Sigmund Freud's daughter, Anna Freud. Anna noticed Erikson's sensitivity to children at the school and encouraged him to study psychoanalysis at the Vienna Psychoanalytic Institute, where prominent analysts August Aichhorn, Heinz Hartmann and Paul Federn were among those who supervised his theoretical studies. He specialized in child analysis and underwent a training analysis with Anna Freud. Helene Deutsch and Edward Bibring supervised his initial treatment of an adult. Simultaneously he studied the Montessori method of education, which focused on child development and sexual stages. In 1933 he received his diploma from the Vienna Psychoanalytic Institute. This and his Montessori diploma were to be Erikson's only earned academic credentials for his life's work. In 1931 Erikson married Joan Mowat Serson, a Canadian dancer and artist whom Erikson had met at a dress ball. During their marriage Erikson converted to Christianity. In 1933, with Hitler's rise to power in Germany, the burning of Freud's books in Berlin and the potential Nazi threat to Austria, the family left an impoverished Vienna with their two young sons and emigrated to Copenhagen. Unable to regain Danish citizenship because of residence requirements, the family left for the United States, where citizenship would not be an issue. In the U.S., Erikson became the first child psychoanalyst in Boston and held positions at Massachusetts General Hospital, the Judge Baker Guidance Center, and at Harvard Medical School and Psychological Clinic, establishing a singular reputation as a clinician. In 1936, Erikson left Harvard and joined the staff at Yale University, where he worked at the Institute of Human Relations and taught at the Medical School. While at Yale he became a naturalized citizen of the United States and changed his family's surname from his adoptive father's name of "Homberger" to "Erikson." Erikson continued to deepen his interest in areas beyond psychoanalysis and to explore connections between psychology and anthropology. He made important contacts with anthropologists such as Margaret Mead, Gregory Bateson and Ruth Benedict, and these contacts, in turn, led to an excursion in 1938, which was to prove significant in the development of his thinking; he was invited to observe the education of native Sioux children on the Pine Ridge Indian Reservation in South Dakota. In 1939 he left Yale, and the Eriksons moved to California, where Erik had been invited to join a team engaged in a longitudinal study of child development for the University of California at Berkeley's Institute of Child Welfare. In addition, in San Francisco he opened a private practice in child psychoanalysis. While in California he was able to make his second study of American Indian children when he joined anthropologist Alfred Kroeber on a field trip to Northern California to study the Yurok. In 1950, after publishing the book, Childhood and Society, for which he is best known, Erikson left the University of California when California's Levering Act required professors there to sign loyalty oaths. From 1951 to 1960 he worked and taught at the Austen Riggs Center, a prominent psychiatric treatment facility in Stockbridge, Massachusetts, where he worked with emotionally troubled young people. During this time he also served as a visiting professor at the University of Pittsburgh where he worked with Benjamin Spock and Fred Rogers at Arsenal Nursery School of the Western Psychiatric Institute. He returned to Harvard in the 1960s as a professor of human development and remained there until his retirement in 1970. In 1973 the National Endowment for the Humanities selected Erikson for the Jefferson Lecture, the United States' highest honor for achievement in the humanities. Erikson's lecture was titled "Dimensions of a New Identity". Erikson is also credited with being one of the originators of Ego psychology, which stressed the role of the ego as being more than a servant of the id. According to Erikson, the environment in which a child lived was crucial to providing growth, adjustment, a source of self-awareness and identity. Erikson won a Pulitzer Prize and a U.S. National Book Award in category Philosophy and Religion for Gandhi's Truth (1969), which focused more on his theory as applied to later phases in the life cycle. In Erikson's discussion of development, rarely did he mention a stage of development by age but in fact did refer to a prolonged adolescence which has led to further investigation into a period of development between adolescence and young adulthood called emerging adulthood. Favorable outcomes of each stage are sometimes known as "virtues," a term used in the context of Erikson's work as it is applied to medicine, meaning "potencies." Erikson's research suggests that each individual must learn how to hold both extremes of each specific life-stage challenge in tension with one another, not rejecting one end of the tension or the other. Only when both extremes in a life-stage challenge are understood and accepted as both required and useful, can the optimal virtue for that stage surface. Thus, 'trust' and 'mis-trust' must both be understood and accepted, in order for realistic 'hope' to emerge as a viable solution at the first stage. Similarly, 'integrity' and 'despair' must both be understood and embraced, in order for actionable 'wisdom' to emerge as a viable solution at the last stage. Hope, Basic trust vs. basic mistrust—This stage covers the period of infancy, 0-18 months, which is the most fundamental stage of life. Whether the baby develops basic trust or basic mistrust is not merely a matter of nurture. It is multi-faceted and has strong social components. It depends on the quality of the maternal relationship. The mother carries out and reflects their inner perceptions of trustworthiness, a sense of personal meaning, etc. on the child. If successful in this, the baby develops a sense of trust, which "forms the basis in the child for a sense of identity." Failure to develop this trust will result in a feeling of fear and a sense that the world is inconsistent and unpredictable. Will, Autonomy vs. Shame—Covers early childhood around 1–3 years old. Introduces the concept of autonomy vs. shame and doubt. The child begins to discover the beginnings of his or her independence, and parents must facilitate the child's sense of doing basic tasks "all by himself/herself." Discouragement can lead to the child doubting his or her efficacy. During this stage the child is usually trying to master toilet training. Purpose, Initiative vs. Guilt—Preschool / 3–6 years. Does the child have the ability to or do things on their own, such as dress him or herself? If "guilty" about making his or her own choices, the child will not function well. Erikson has a positive outlook on this stage, saying that most guilt is quickly compensated by a sense of accomplishment. Competence, Industry vs. Inferiority—School-age / 6–11 years. Child comparing self-worth to others (such as in a classroom environment). Child can recognize major disparities in personal abilities relative to other children. Erikson places some emphasis on the teacher, who should ensure that children do not feel inferior. Fidelity, Identity vs. Role Confusion—Adolescent / 12–18 years. Questioning of self. Who am I, how do I fit in? Where am I going in life? Erikson believes, that if the parents allow the child to explore, they will conclude their own identity. If, however, the parents continually push him/her to conform to their views, the teen will face identity confusion. Love, Intimacy vs. isolation—This is the first stage of adult development. This development usually happens during young adulthood, which is between the ages of 18 to 35. Dating, marriage, family and friendships are important during the stage in their life. By successfully forming loving relationships with other people, individuals are able to experience love and intimacy. Those who fail to form lasting relationships may feel isolated and alone. Care, Generativity vs. stagnation—The second stage of adulthood happens between the ages of 35-64. During this time people are normally settled in their life and know what is important to them. A person is either making progress in their career or treading lightly in their career and unsure if this is what they want to do for the rest of their working lives. Also during this time, a person is enjoying raising their children and participating in activities, that gives them a sense of purpose. If a person is not comfortable with the way their life is progressing, they're usually regretful about the decisions that they have made in the past and feel a sense of uselessness. On ego identity versus role confusion—ego identity enables each person to have a sense of individuality, or as Erikson would say, "Ego identity, then, in its subjective aspect, is the awareness of the fact that there is a self-sameness and continuity to the ego's synthesizing methods and a continuity of one's meaning for others," (1963). Role confusion, however, is, according to Barbara Engler in her book Personality Theories (2006), "the inability to conceive of oneself as a productive member of one's own society" (158). This inability to conceive of oneself as a productive member is a great danger; it can occur during adolescence, when looking for an occupation. Erikson married Canadian-born American psychologist Joan Erikson in 1930 and they remained together until his death. Their daughter, Sue Bloland, “an integrative psychotherapist and psychoanalyst,” described her father as plagued by "lifelong feelings of personal inadequacy." He thought that by combining resources with his wife, he could “achieve the recognition” that might produce a feeling of adequacy. The Eriksons had four children, the eldest of whom is sociologist Kai T. Erikson. Erikson died on May 12, 1994 in Harwich, Massachusetts. He and his wife are buried in the First Congregational Church Cemetery in Harwich. 1 2 "Erik Erikson, 91, Psychoanalyst Who Reshaped Views of Human Growth, Dies", New York Times, March 13, 1994. ↑ Friedman, Lawrence Jacob (2000). Identity's architect: a biography of Erik H. Erikson. Harvard University Press. p. 29. ISBN 978-0-674-00437-5. ↑ "Psychology". Sweet Briar College. Retrieved 2013-08-30. ↑ Sue Bloland, In the Shadow of Fame (Penguin Books, 2005), 62, 64. 1 2 3 4 5 6 7 Hoare, Carol (2001). "Chapter 2, Erikson's Thought in Context". Erikson on Development in Adulthood: New Insights from the Unpublished Papers. Oxford University Press, USA. pp. 7–12. ISBN 978-0195131758. 1 2 3 Stevens, Richard (1983). "Chapter 1". Erik Erikson: An Introduction. New York, NY: St. Martin's Press. ISBN 978-0-312-25812-2. ↑ "Erik H. Erikson". Erikson Institute. Retrieved 2016-04-03. ↑ Stephen Schlein, ed. (2009) . "Stephen Schlein Erik Erikson papers". Harvard University Library. Retrieved 2014-03-11. ↑ Robert McG. Thomas Jr (August 8, 1997). "Joan Erikson Is Dead at 95; Shaped Thought on Life Cycles". The New York Times. Retrieved 2013-08-30. ↑ Engler, Barbara (2008). Personality Theories: An Introduction. Cengage Learning. p. 151. ISBN 978-0-547-14834-2. ↑ Fadiman, James; Frager, Robert (2002). Personality and Personal Growth (5th ed.). Pearson Prentice Hall. p. 208. ISBN 978-0-13-040961-4. Retrieved 2013-08-30. ↑ C. George Boeree (2006) . 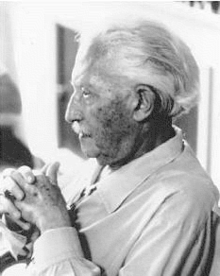 "Erik Erikson, 1902 - 1994". Shippensburg University. Retrieved 2013-08-30. ↑ Friedman, Lawrence Jacob (2000). Identity's architect: a biography of Erik H. Erikson. Harvard University Press. pp. 253, 261–262. ISBN 978-0-674-00437-5. Retrieved April 28, 2014. ↑ Jefferson Lecturers at NEH Website (retrieved January 22, 2009). ↑ Erikson, Erik H. Dimensions of a New Identity: The Jefferson Lectures in the Humanities (W. W. Norton & Company, Inc., 1979), ISBN 0-393-00923-8, ISBN 978-0-393-00923-1. ↑ George Stade, "Byways of Our National Character," New York Times, May 19, 1976 (review of Erikson's Dimensions of a New Identity). ↑ "1970 winners—General Nonfiction—Gandhi's Truth by Erik H. Erikson". pulitzer.org. Columbia University. n.d. Retrieved 27 March 2012. ↑ "National Book Awards – 1970". National Book Foundation. Retrieved 2012-03-08. ↑ Arnett, Jeffrey Jensen (May 2000). "Emerging Adulthood: A Theory of Development from the Late Teens Through the Twenties". American Psychologist. 55: 469–480. doi:10.1037/0003-066x.55.5.469. ↑ Erikson, Erik H. (1997). The Life Cycle Completed. Extended version with New Chapters on the Ninth Stage of Development by Joan H. Erikson. New York: W. W. Norton, p. 61. ↑ Thomas, Robert (8 August 1997). "Joan Erikson Is Dead at 95; Shaped Thought on Life Cycles". The New York Times. Retrieved 7 October 2014. ↑ Psychology Today, "Sue Erikson Bloland: Clinical Social Work/Therapist, LCSW" online at https://therapists.psychologytoday.com/rms/name/Sue_Erikson+Bloland_LCSW_New+York_New+York_254013. ↑ Robert Leiter, "The Corrosive Nature of Fame" in Jewish World Review Nov. 29, 1999/ 20 Kislev, 5760. Online at http://www.jewishworldreview.com/on/media112999.asp. ↑ Sue Bloland, In the Shadow of Fame (Penguin Books, 2005), 67. ↑ "Find A Grave". Retrieved 2015-12-06.